Independently rated #1 seven years in a row! 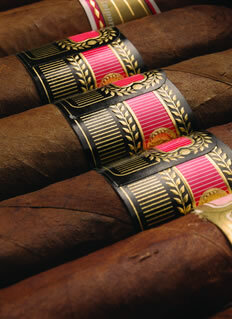 Highest Quality - Hard-to-find, premium cigars from specialty producers worldwide! Personalized gift announcement and Cigar Lover's Newsletter! Amazing clubs is the largest provider of gourmet gift clubs in the world. Since our founding in 2003, we've served more than 2,000,000 satisfied customers! What kind of cigar do you send? We work hard to send on the best, most unique selections every month and our goal is to exceed your expectations with every single delivery. When do your shipments arrive? Every club shipment arrives the last week of every month. 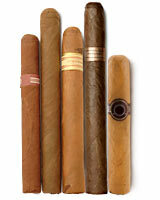 Is your cigar selected randomly? Can I pick what I'm going to receive? All of our items are carefully selected by our panel of experts and chosen to meet their exacting standards and delight our members. If you'd like to make a suggestion for any of our clubs, please email us at support@amazingclubs.com. How is your cigar packaged? We're experts at delivering gifts and every item we send is shipped in specially designed packages to guarantee safe arrival and a beautiful presentation. Depending on your location, we ship by UPS, FedEx or local carrier. We send tracking information to our recipients every month when we ship.